Wedding rings, commitment rings, friendships rings, engagement rings! Toronto ring band workshops! 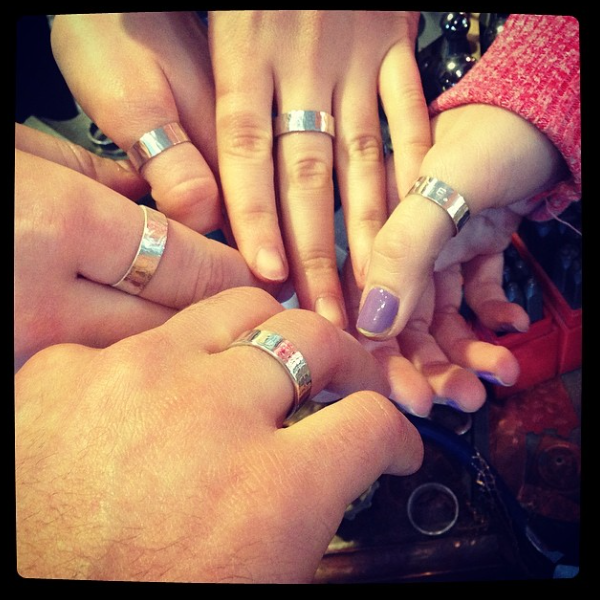 Wedding rings, commitment rings, friendships rings, engagement ring! Toronto ring band workshops! 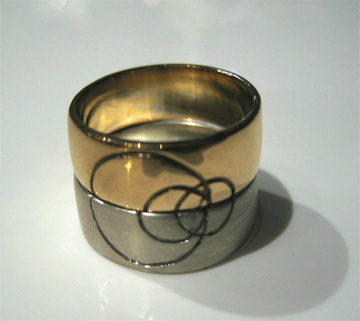 I’ve offered wedding band and ring band workshops in Toronto since 2003. Long before other, similar studios opened and followed suit. I have been a professional working metalsmith/artist since 1986. San Francisco, Santa Fe/Taos, New Mexico, Texas, Toronto and occasionally Iceland, I have lived, worked and taught these particular workshops. Wedding band workshops vary upon approach, materials used, etc. Generally the wedding band workshops are private bookings, however if you are interested in Sterling silver ring bands you are more than welcome to join any Ring Band workshop! I demonstrate different approaches to working with wax, various jeweller’s wax, tools and equipment used, carving using hand tools, and rotary tools, etc. 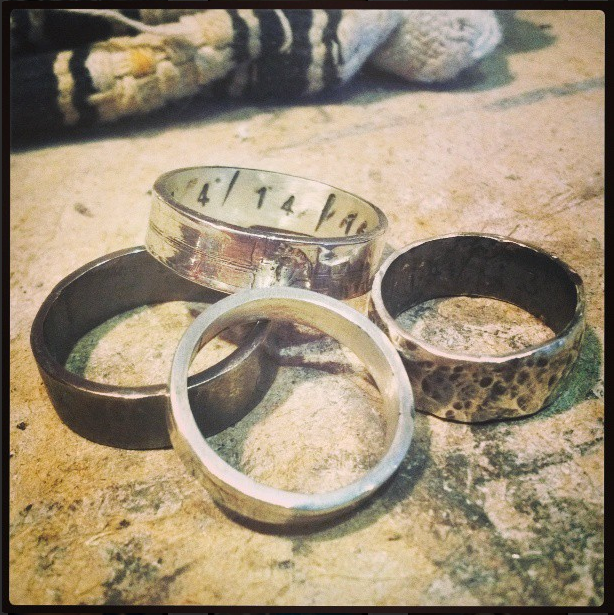 Rings are created. Generally available- Tuesday, Thursday and Friday evenings and Saturday or Sunday afternoons. Please email me to discuss your ring ideas! ** Cast in place! 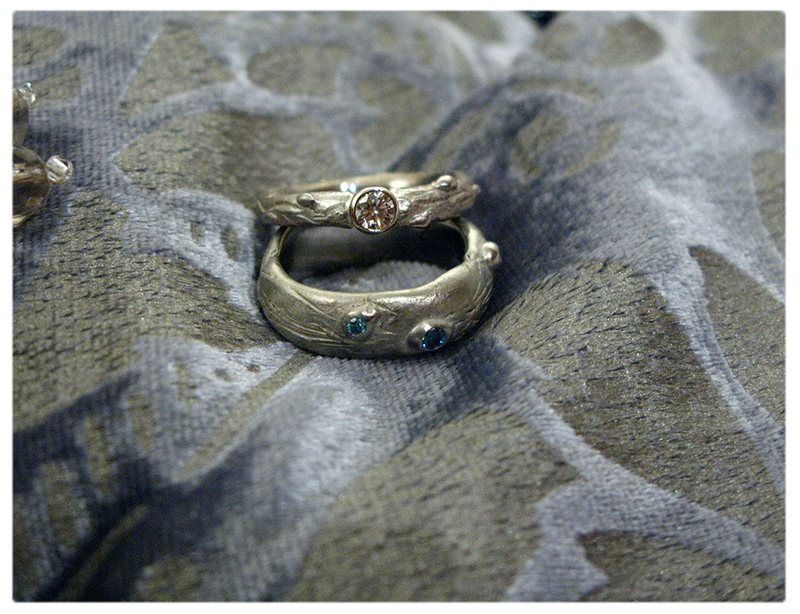 For entirely one-of-a-kind rings consider casting raw diamonds into the ring, or meteorites/tektites, sapphires, iron. Another idea: cast two different metals! 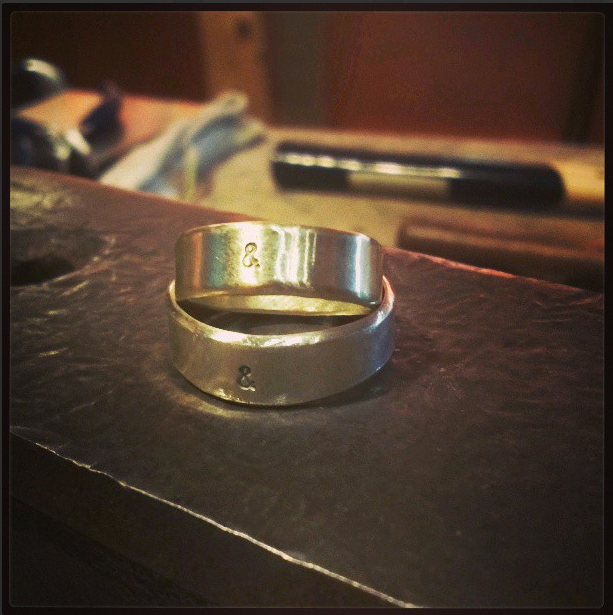 poke wedding bands and special commissions of all types as well as repairs.